Wing was an inexperienced airplane because he was very young. He hadn´t yet made his first flight. He was beautiful and had big wings, but he was different as even though he was fully equipped, he was scared of flying. One day, a young pilot asked him: “Wing, do you want me to pilot your first flight?” Wing was surprised to be asked and said; “I would love to, but I can´t”. The young Pilot was confused. No plane had rejected to fly with him before, so he asked: “Why can´t you fly?”. This made Wing blush, he was very embarrassed to talk about his fear of flying. He thought that everybody would make fun of him. 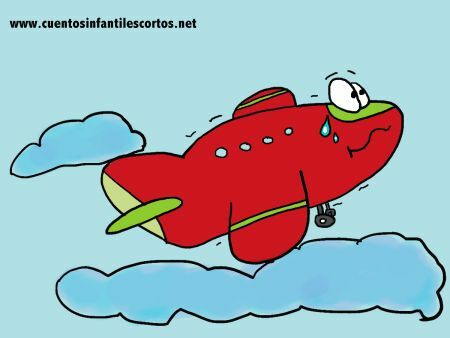 So with a stuttering voice he said: It´s because I am scared of flying”. When Wing saw that the pilot had full confidence in him, he turned on his engines, “Ok, Captain, here we go!” – he said excitedly. Wing made a perfect first flight. He just needed someone to trust in him and help him to surpass himself. From that day on, Wing and the young pilot made many flights together.